Michelle Maton, formerly Michelle Dekkers, is a former three-time Big Ten cross country champion and one-time NCAA champion for Indiana University. 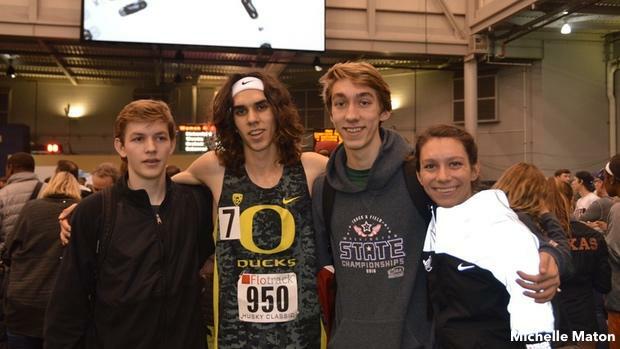 She's the mother of five children, one of whom (Ashley) just completed her career at the University of Oregon, another (Matthew) who's currently with the Ducks, and a high school junior (Daniel), who's a highly touted recruit at Camas High in Oregon. 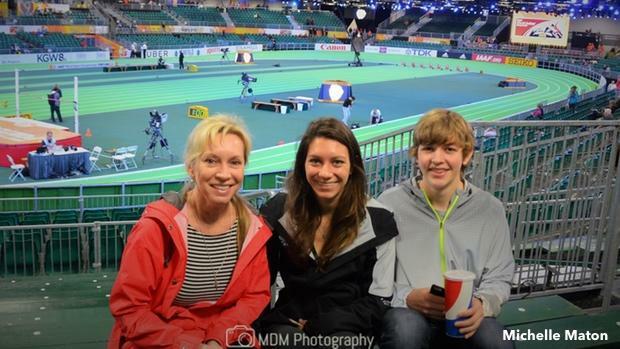 Michelle wrote this Parent's Perspective piece for MileSplit in 2017 about her experience of growing up as a runner, and now as a mother to her children. The Maton running story is not one of your typical running family. It is a tale that has always been, and continues to be, one of constant adaptation and evolution. Through my family and my own past experiences and challenges, I have realized that the best way for me to support my children is to use this knowledge to help each of them grow. I'm South African, and I come from a family of runners. My dad and my uncle ran, but by the time I was running, their running career was a distant memory. Their running dreams were halted by several factors: ankylosing spondylitis (an inflammatory arthritis of the spine and joints) and bans from international competition due to apartheid. Once I started to become serious about running during my high school years, it reignited my dad's memories and passion for the sport, and my family began to dream of running in America. Once the "running in America dream" became a reality, my family and I had to overcome challenges. While my parents and brothers struggled to establish themselves in the United States, I had to manage my new collegiate life as an Afrikaans-speaking young girl who had been uprooted from the moderate climate, beaches, trails, and grass tracks of Cape Town to the concrete jungle of Houston, Texas! Along with the dramatic culture shock, I was also struggling with a new athlete-coach relationship. As a young foreign girl, I found myself very impressionable and frustrated that I was not running faster or at least at the same level as my senior year of high school. I began heading toward a downward spiral, as my coach did not seem to believe in me and even mentioned that I should lay off the butter and syrup. Somehow, over the next few years I managed to find success in cross country by winning an individual NCAA title at Indiana after transferring from one university to another, battling an eating disorder, and running with my favorite foot gear: bare feet! I remember being very self-conscious about it and taking my shoes off at the very last minute. People in America were just not accustomed to a barefoot runner lining up for a race. However, even with the high of winning an NCAA title, I left the college system burnt out and ready to start a new chapter in my life. At the time, South Africa was still not allowed back into international competition and I was determined not to relive the same cycle as my dad and uncle. Therefore, I went on to start a family of my own with the hopes of guiding my children to a successful life with a simple philosophy: use the knowledge I had gained from my own mistakes. I'm a mother of five children, and when they showed initial interest in running, my goal was to keep their passion for the sport alive. You can't train someone to love going out there and hurting over and over again each day. Running is not a game. It is a tough sport and I always wanted to try and make sure the children were having as much fun with it as possible. 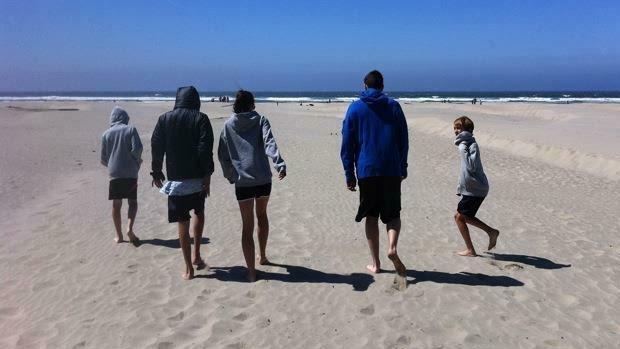 For instance, we moved away from the harsh running weather of Florida and Texas to the cooler climates of Oregon, and I am always reminding my kids of my mother's old saying that if you are training and you are craving a certain kind of food then eat it! Surprisingly, we keep the topic of running and training very limited when we are home. I encourage my children to think critically and to not just blindly follow a coach or coaching strategy. Part of keeping the passion alive is allowing the children to know that being a runner does not define you as a person. When a coach does not agree with your individual hopes and dreams or goals, it does not mean you can't make it happen on your own. Don't let things get in the way of your hard work and do take advantage of your opportunity to run. The window of opportunity to train and compete at a certain level is short in the grand scheme of things, so enjoy the journey. Learn from the ups and downs and view them as valuable tools for life in general. I encourage my children to think critically and to not just blindly follow a coach or coaching strategy. I advise them to choose a university in which they can see themselves for the remainder of their college careers, to choose a school that will develop their potential as an individual person, not just as a point-scoring machine. I make sure the children know the importance of having short-term goals and a long-term vision. By doing these things, they ultimately gain control of their own future. No athlete or child is the same. For some, as a parent, I have to sit back and wait to advise when they ask. Others need a gentle nudge, and some need to know exactly what to do at any given moment. I have raised five children for 16 years with the financial assistance from my family. The truth is, we don't have all the answers. Throughout a few turbulent years of struggling with single parenthood and bearing the sole responsibility for five unique individuals -- one who developed type 1 diabetes at age 2 and innocently asking "why did I sign him up for the miserable disease," another's frustration with dyslexia and another child who raised havoc in the family when resorting to prescription drugs as a coping mechanism -- I have learned to follow my children's lead and put myself in a position to support their passion or keep them alive for that matter. Parenting does not come with a manual. We learn as we go. The truth is, we don't have all the answers. But, I try my best to find it, even if it means putting myself through a paramedic program to feel more confident in supporting them. The helplessness you feel when discovering one of the children unconscious in your home, doctors informing you there is no hope and making the dreadful decision to end life support -- that has most certainly been the ultimate test of my strength as a human being and parent. As parents we cannot always prepare for all situations, but gaining a certain amount of confidence on how to handle situations help tremendously. 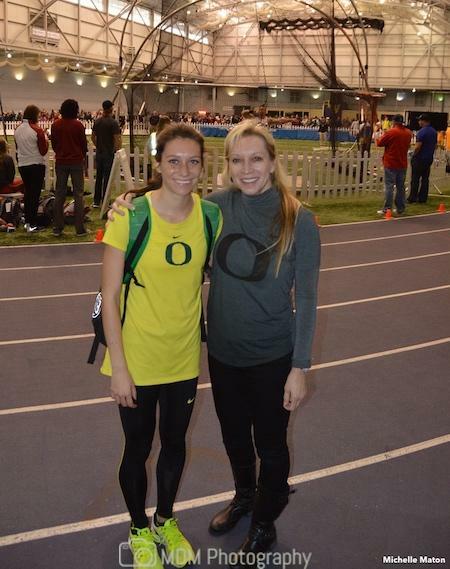 As the children progress through the stages of running and life (Ashley post-collegiately after successful years at Oregon, Matthew in the midst of his college career at Oregon, and Daniel in high school at Camas High), I am thankful that my children have found their passion in the sport. It became their coping mechanism when we faced turbulent times. With continued training comes success and growing concern about the added pressure and expectations, which are raised within themselves and from others and how to handle social media. I do my best to advise them and support them, and I've been privileged to use all the knowledge I have gained to apply it to each individual. The journey is ever-changing and we embrace learning as we go. One particular path does not define us; when one door closes another one opens. We try our best to utilize and appreciate God's gift of "the journey of life."